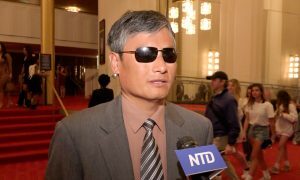 AARHUS, Denmark—Famed Danish novelist and Aarhus native Svend Aage Madsen has always been interested in Chinese culture, so seeing the essence of this ancient culture presented on stage by Shen Yun Performing Arts was an impressive experience for the author. “I enjoyed it very much. I was very much impressed by all the numbers,” said Mr. Madsen after seeing Shen Yun perform at the Music House Aarhus on April 12. Mr. Madsen majored in mathematics, but has been a fiction author for many years. Some of his works have a cult following in Denmark and a number have been made into films. Noting that he goes to many performances, he said he was amazed that there was not a single mistake in the entire duration of the performance. “They really know their stuff. It was all perfect … I was looking for someone to make a small mistake, but I could not find it. 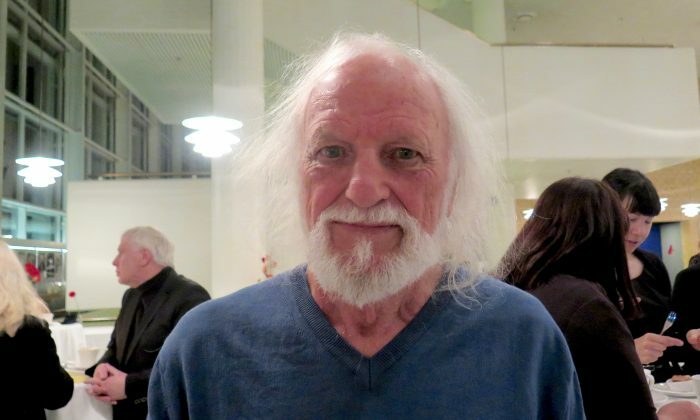 I always go to Danish theater, and you can always find someone making a small mistake, but not in this one,” he said. Shen Yun artists work countless hours each season to prepare a flawless performance, presenting a completely new program each year. Based in New York, Shen Yun showcases classical Chinese dance and music with a mission to revive China’s divinely inspired culture. 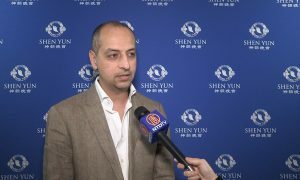 Mr. Madsen said Shen Yun presents its performance in a “very powerful way,” bringing dances with story lines set in different time periods in China’s long history; stories as diverse as ancient legends set in royal courts to the atrocities of the communist regime during the cultural revolution. “It’s important that it’s shown and it continues the story of China and the tradition is continued into the new times,” Mr. Madsen said. 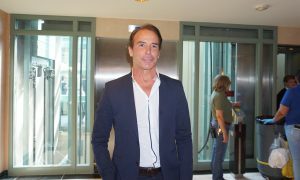 Shen Yun, Mr. Madsen said, is an impressive performance, because it introduces another culture to the audience. 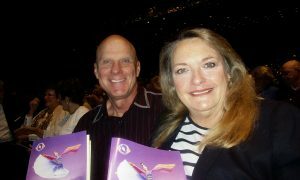 Inger and Kim Christensen, who also saw the performance on April 12, said they were fascinated by Shen Yun. 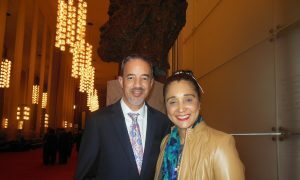 Mr. Christensen, a dentist, said Shen Yun’s dances were very expressive. An ancient art form, classical Chinese dance is one of the most rigorous and expressive art forms in the world, and is known for its incredible flips and spins, and its gentle elegance. 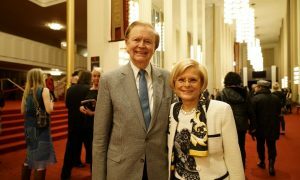 Mr. Christensen was also pleasantly surprised that Shen Yun features an orchestra, one that consists of both traditional Chinese instruments and classical Western instruments. “This was overwhelming, with this symphony orchestra. It was very good,” Mr. Christensen said. Ms. Christensen said she was deeply touched by the performance. “We will bring something home, in our hearts,” she said. Reflecting on the themes and values of China’s spiritual culture presented in the performance, Ms. Christensen said she pondered the importance of life beyond material possessions. “There are some things that are more important than money and material things. What is important in life? It’s relations, peace in your heart, and believing in your mind in something good, and hope for something good thereafter. I think that modern people have lost a lot in their life because we don’t believe,” she said. “Modern people have lost something in our lives if we don’t believe in something greater than ourselves,” he said. 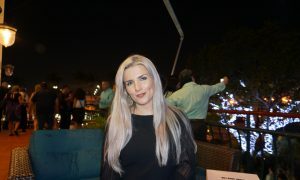 Susanne Ostergaard, a dance instructor who saw the performance on April 13, said Shen Yun was beautiful. “I think it was really, really interesting to see,” she said, noting the unique dance movements of classical Chinese dance. Axel Romer, a local business owner, said Shen Yun is a great performance, showing the cultural history of China. “Normally we don’t hear much in Europe about China unless what they allow us to know [it]. So I think it is a good way to experience all those stories from the Chinese history,” he said.